You can buy frozen puff pastry dough at the grocery store (near the frozen fruits and whipped cream). You’ll want to thaw it to work with it, but not QUITE thawed or it will be too doughy to work with properly. You can leave it on the counter for 15-20 minutes and that should do the trick (unfold it first). 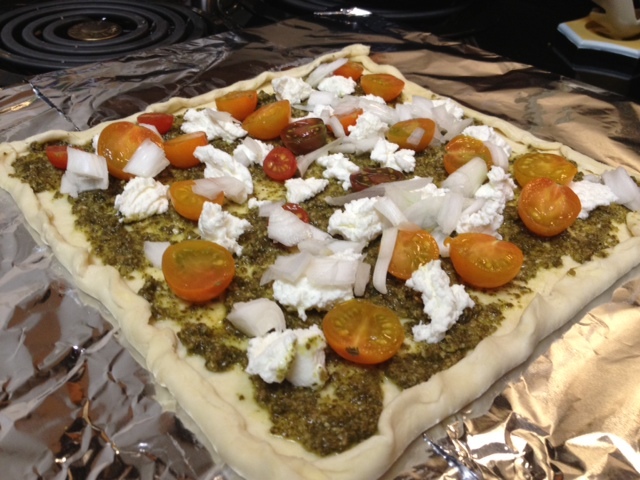 Lay it out and I crimped up the edges to make a little tart. The original recipe called for red pepper pesto. My first thought—what the hell is that? Asked my mom too, and she didn’t know. 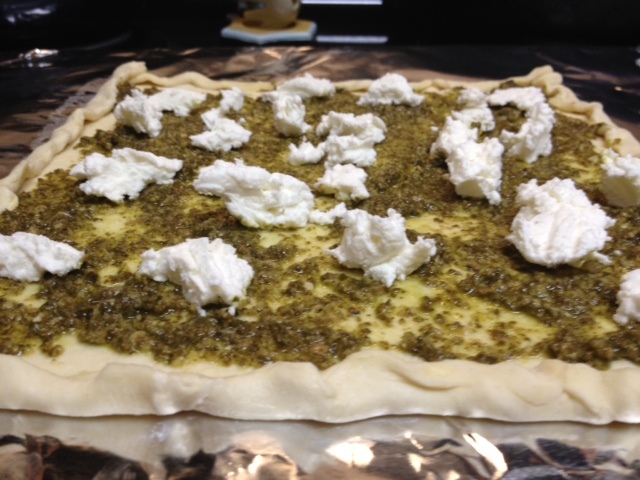 Also, red pepper sounded a little odd as a base for this recipe, so I just used store-bought pesto. 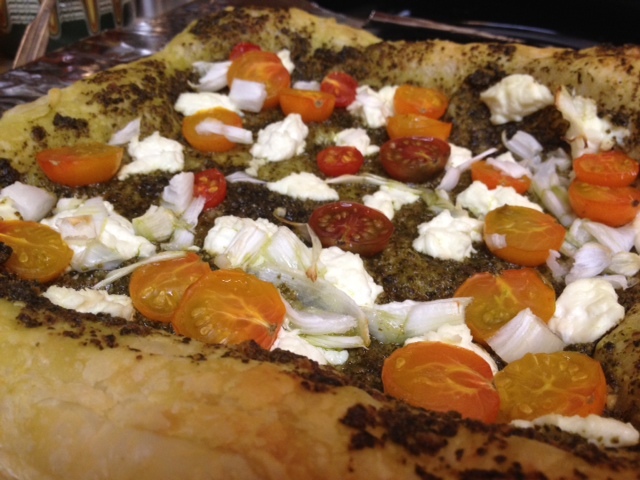 Would be really good with fresh homemade pesto, too. I might mention that I had serious sticking issues, too. 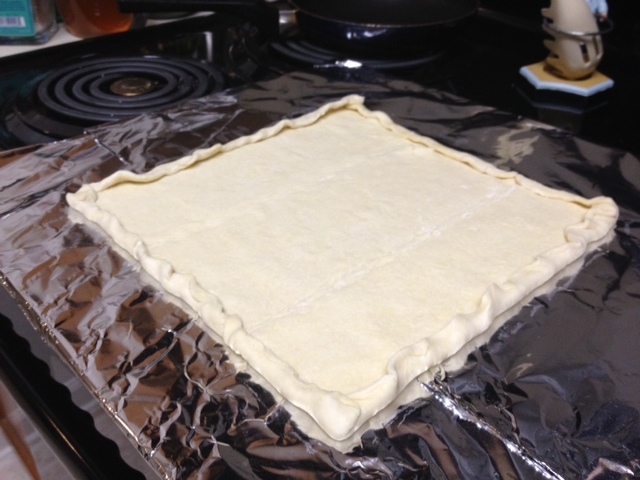 So use some spray beneath your pastry dough unless you have super awesome non-stick pans. Spread a nice little layer over everything. 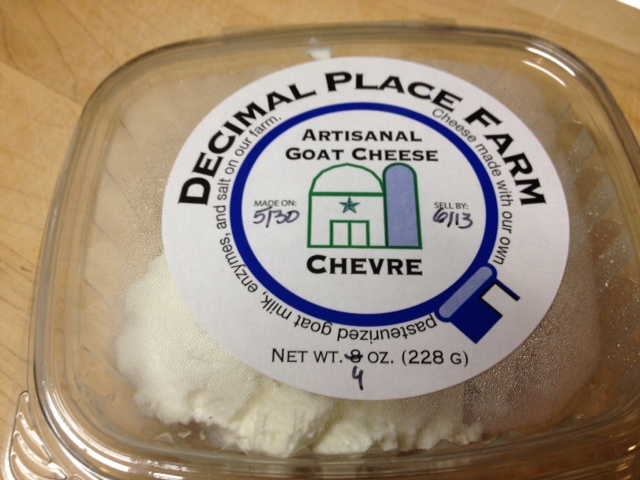 This is locally-made chevre cheese. 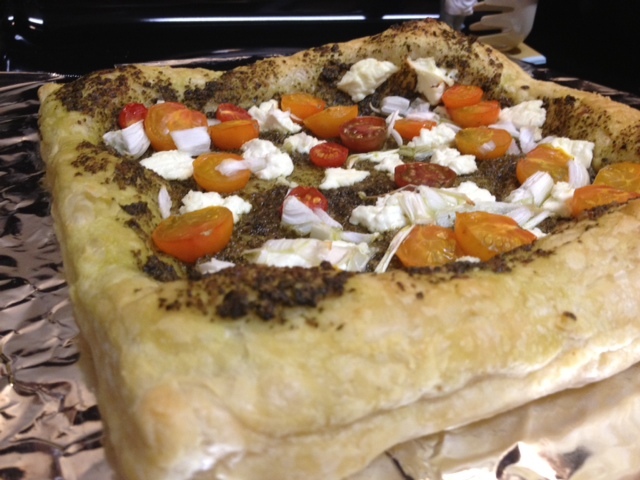 It was delicious, but regular old goat cheese would be great too (and would have a slightly stronger flavor, which would have been nice). 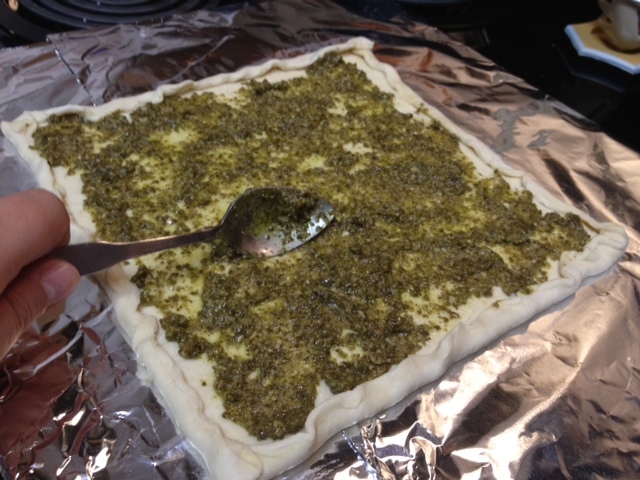 Crumble pieces over the pesto. 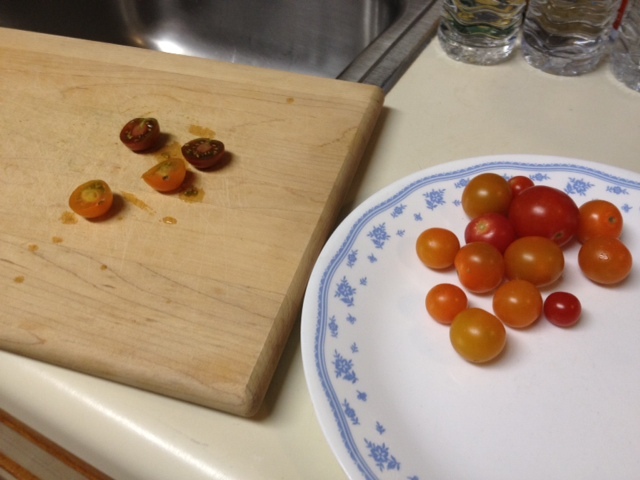 Cut your cherry tomatoes in half. Maybe eat a few, to make sure they’re good. Spread those out on the tart too. I’d put them all face up, so the cut edges of the tomato can roast nicely. 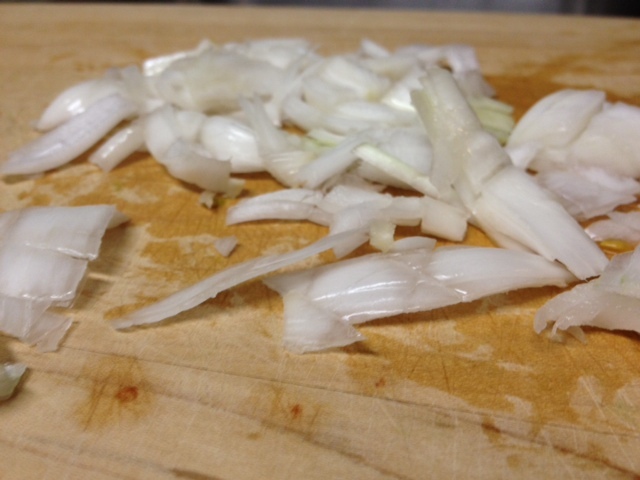 Chop up your spring onion into little pieces. It turns nice and sweet when it’s roasted on the pizza. 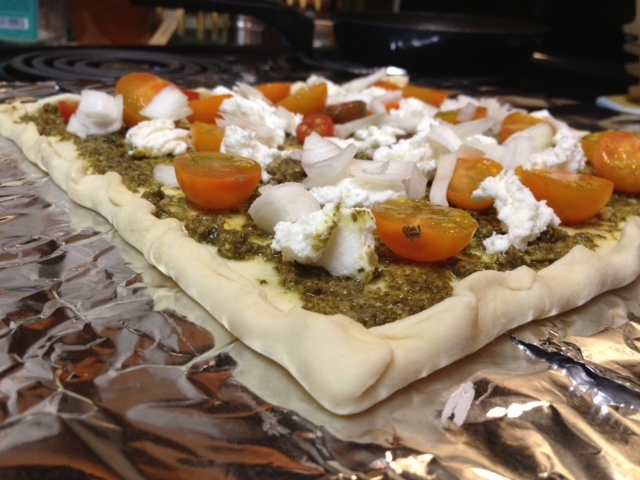 Sprinkle those pieces all over the tart, depending on how much you like onion. Put in the oven, which you’ve preheated to 375. Bake 20-30 minutes and until golden brown. I’d prick the edges of the crust with a fork. Why? Because this. It was actually worse than this, the edges got SUPER puffy. 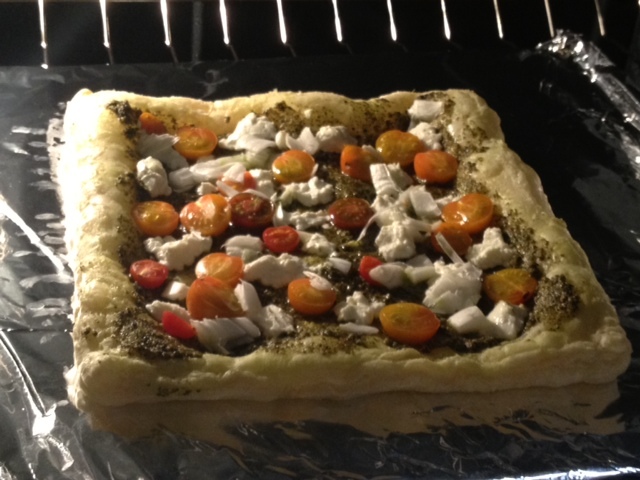 It is puff pastry, after all. Et voila! 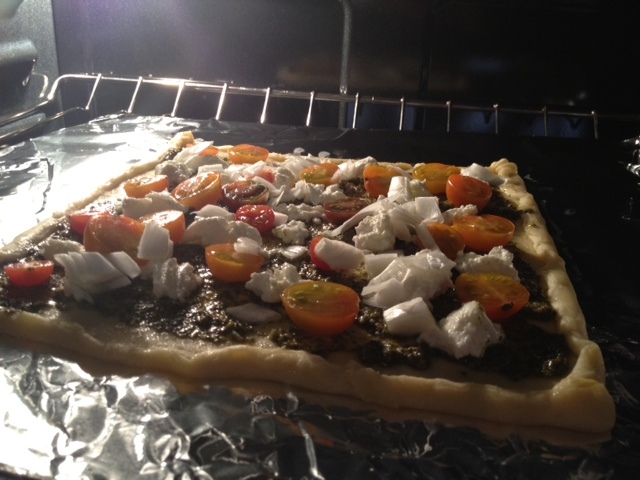 Remove from the oven when golden, crispy, and the tomatoes and onions have started to caramelize. 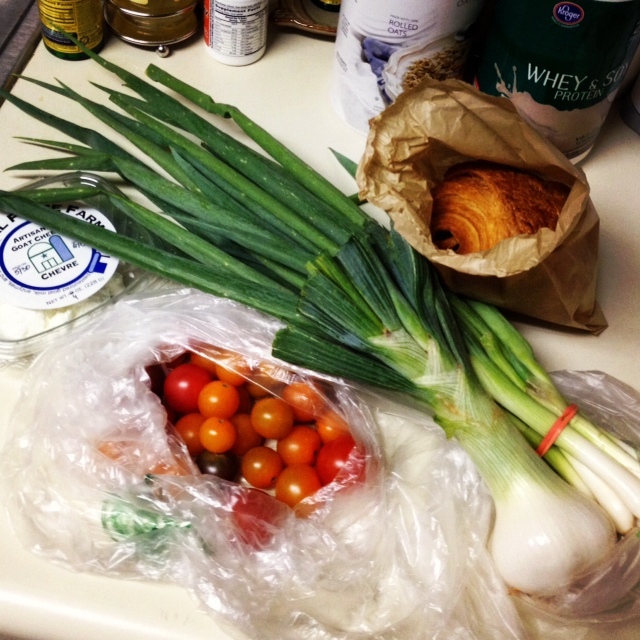 Could even have stood for 30 seconds or so of broiling just to caramelize the onions and tomatoes a little more. But all in all, delicious! Preheat the oven to 375°. 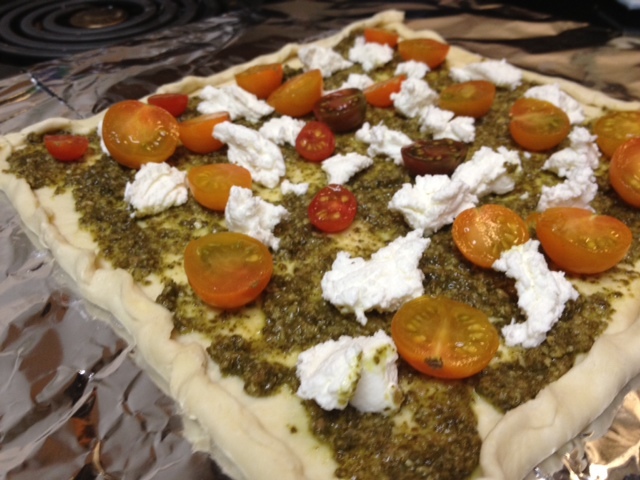 Roll out the pastry and crimp up the edges into a tart if you so desire. 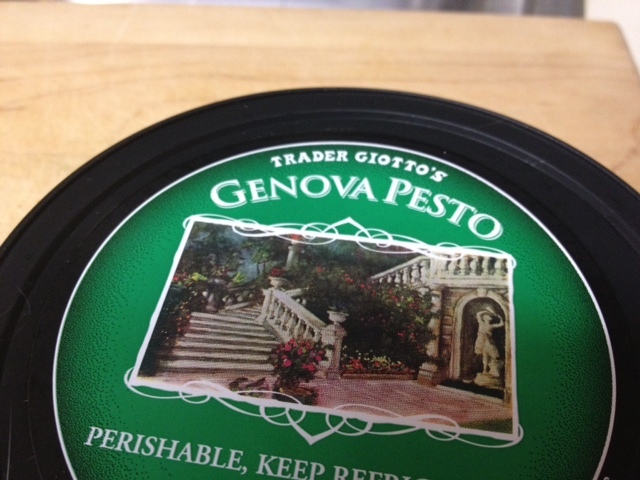 Smear the pesto over the surface. Crumble over the cheese before topping with the tomatoes. 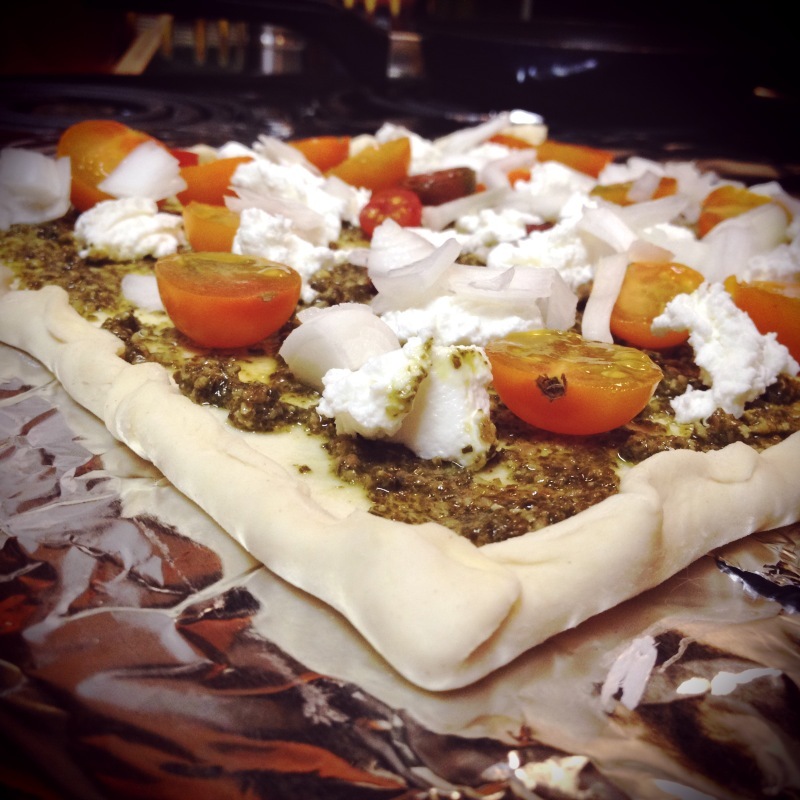 Then tear the spring onion pieces over the tart.